The village of Vikumgama was adopted in 2012 as the site Project Sri Lanka’s 10thcommunity building and pre-school. Vikumgama lies 17km inland from Matara townand is home to an agricultural community of 1090 people, 449 of whom form thevillage Sarvodaya Society. The local environment is comprised of paddy fields andtea plantations. In early 2012, Vikumgama had an existing temporary school, housed in a governmentbuilding whose main purpose is to serve as a health centre. With the construction of anew building, this older one remains as a dedicated health centre. The people of Vikumgama also rented an office space for banking, computing andcopying, which can be accommodated in the new building thus eliminating rentalcosts. 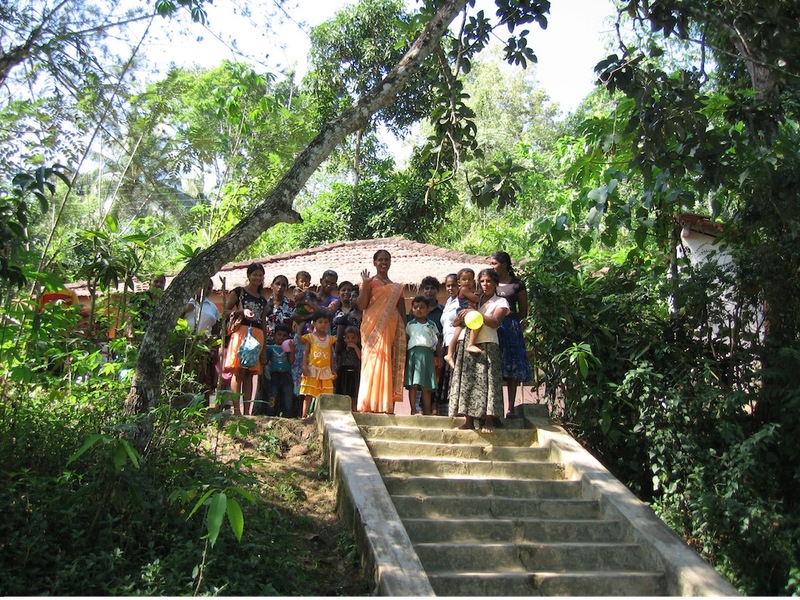 The new community building at Vikumgama has proved to be highly successful since its completion. It houses a thriving pre-school and is a centre for many community-based activities. Initiatives being developed within the village with our support include home gardening and the making of greetings cards.